If you are reading this article, then you are probably keen to find out the job role of a business intelligence analyst, and what exactly it involves. Jobs are changing at a rapid rate as we move into the future, with some roles being wholly removed and other new types of functions appearing in their place. The business intelligence analyst is one of those more modern positions and one which will continue to be big moving towards the future. In this article, we will take a look at the role in further detail as well as the job skills and requirements that are needed for this job, to give you a better understanding of what you would need to apply for such a position. What is the Role of Business Intelligence Analyst? These methods allow the business intelligence analyst to understand where exactly the company is placed in the industry, and gives them an idea of where they can improve on certain things and also where they can try to cut costs. For a business intelligence analyst, the majority of time will be spent analyzing data. This includes past trends, current conditions, and the current competition. Therefore, they must be completely data literate, and able to understand large chunks of data as well as understand trends, and be able to report these to the company fluently. A business intelligence analyst must, therefore, have a set of skills which allows them to work in all of these areas with ease. We will take a look at them further below. As we briefly mentioned, the various day-to-day tasks that a business intelligence analyst would perform, mainly involving working with data, we will now also highlight the types of skills and requirements that a business intelligence analyst should have and which would set you apart from the crowd. Business intelligence analysts are required to work with complicated computer programs and software to collect data and discover new and upcoming trends. Therefore, they should be able to use a variety of software and understand data storage structures. Communication is also an essential skill that a business intelligence analyst should have as they must be able to convey their findings effectively to management and explain them in a clear and concise way. In the case of working with other developers, they should also be able to work well with others. Of course, the role of a business intelligence analyst is very analytical. This means they should know how to read data and determine what exactly the trends say. Analyzing the data can be very important as the company relies upon the analyst for this factor alone. Time management is also a crucial part of being a business intelligence analyst as there will often be a large number of projects and data streams to work on at any given time. This means more deadlines and the ability to balance everything is important. As well as communication skills, business intelligence analysts should also be able to solve problems and recommend solutions where needed to make improvements in the company and increase revenue and reduce any losses from occurring. Business intelligence analysts should also be knowledgeable about data storage structures, and how data can be applied to aid in business intelligence. Usually, the majority of business analysts will be educated with some form of higher education and a degree which is specified in technology. This could be more specific in business intelligence itself, and many experts recommend that technologies such as SQL and Cognos should be understood before applying for such a role. What Do Business Intelligence Analysts Earn? If you are interested in finding out the average wage of a business intelligence analyst, then we have done our research. According to Glassdoor, a business intelligence analyst can make anything from $56K-$92K or more depending on experience. Therefore, business intelligence analysis jobs are well-paid positions and ones with good job security. The positive aspect of this role is that it is very much in demand, as companies are continually trying to maximize profits and reduce costs. As global online businesses and services grow, trend analysis and external information is key to ongoing business competition. 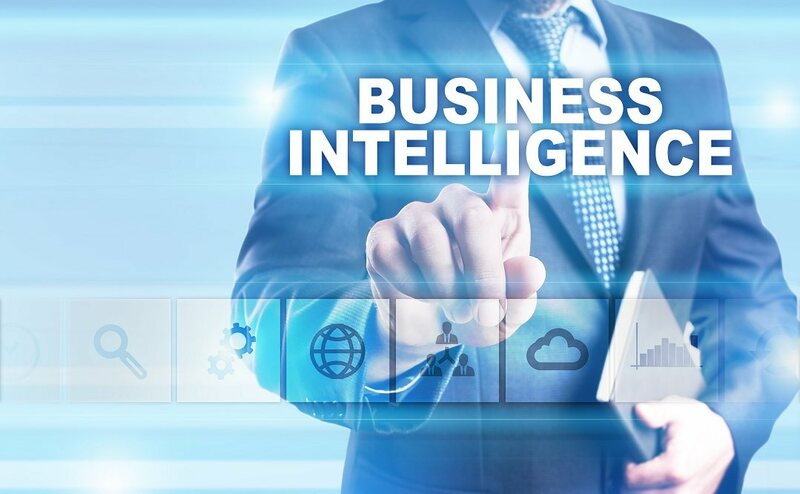 Machine learning, artificial intelligence, and big data are all new factors which many companies today and those moving into the future must understand, and this is why the role of a business intelligence analyst is crucial to a company. Employers will need to rely on someone who is able to read data trends effectively and understand them so they can look for ways to maximize the company’s profits and make sure they are always keeping up with market trends. Therefore, the business intelligence analyst role is one which is certainly expected to grow in popularity moving towards the future. If you are keen to get into a role that is likely to be stable and give you a job for a good amount of time, then the position of a business intelligence analyst is recommended. We hope this article has explained the role of a business intelligence analyst, and that you now understand what precisely their day-to-day work involves. If you are interested in becoming a business intelligence analyst, be sure to check out the required skills and requirements and make sure your CV is up to scratch before you apply for the position.